While I was stalking, um, I mean checking out Pierre Yovanovitch’s website the other day I noticed a few new projects had been added…joy! These all bear the trademark of Yovanovitch’s style – fresh, modern and always, always, full of great furniture. Check out his website for more! I love that large painting in the office….eye -catching! His STYLE is is so crisp. Thanks Gina, that is the link I put in, but blogger has a bit of a weird querk that it also adds the blogger URL in front…strange and annoying. 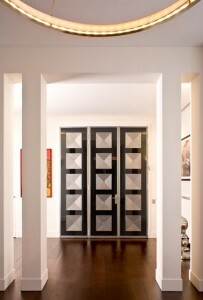 Anon, I love those doors too…not sure how they were done, I’d love to know too. It looks to be metal of some sort in the larger sized image…but it could be metallic paint…? Oh so beautiful. I would love to know if the doors in the 4th pix are painted or if he used some other method…. Thanks for all the comments folks, but I won’t be allowing any more that are links to commercial websites. Just a warning. Thanks for remind us of this great designer! He has class and great sense of style. 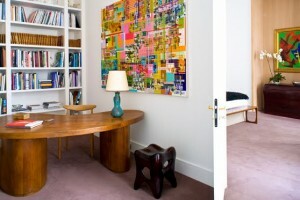 Plus a great eye for proportions, and his use of color is just what the space needs. 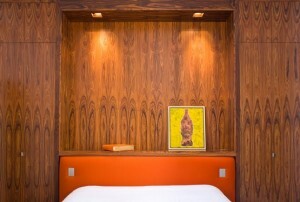 I love the wood like furniture and walls. I like the nature like theme of this interior design. I just adore the white room interior design. It’s very neat the color of the room brightens up my day. Stunning room! I love every inch of it. Aw! The interior design is fabulous! Oh absolutely beautiful – I will definitely be exploring his site !! Hi Rocks! And a halo, too. Thanks.